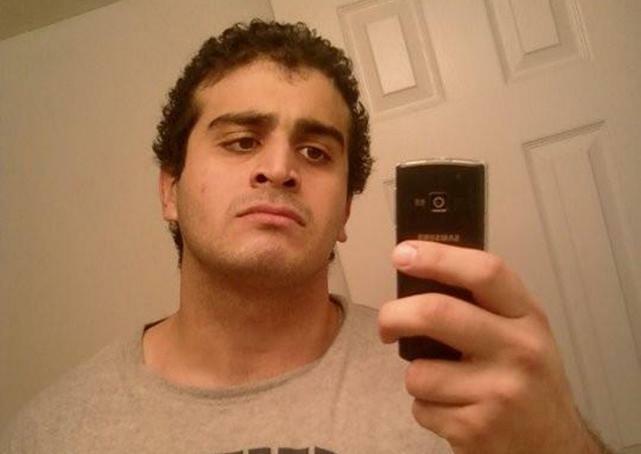 Omar Mateen, the 29-year-old Muslim American of Afghan descent allegedly responsible for the mass killing at a gay nightclub in Orlando, Florida this weekend, was a homophobe and a wife beater, according to people close to him. Fifty people tragically died and another 53 were injured after a heavly-armed Mateen opened fire and downed hostages at the well-known gay hangout, Pulse Nightclub, in what was deemed as the worst mass shooting in the modern history of the US. Mateen died in a shoot-out with the police following the siege. Born to Afghan parents in 1986, Mateen had no apparent criminal history but people close to him described him as a “violent and prejudiced young man”. His relatives revealed that Mateen worked as a security officer and had a wife and a young son. They also noted that he had anti-gay views and suffered mental health problems. In his interview with NBC, the suspect’s father, Mir Seddique shared a recent incident in which Mateen was offended by two gay men publicly displaying affection on a street in Miami. "We were in downtown Miami, Bayside, people were playing music. And he saw two men kissing each other in front of his wife and kid and he got very angry," Seddique told NBC. Meanwhile, Mateen’s former wife claimed that her ex-husband was “violent and mentally unstable -- but not a religious extremist”. According to Sitora Yusufi, Mateen started showing signs of mental instability a few months after they tied the knot in 2009. “He was bipolar and he would get mad out of nowhere," Yusufi told the media. "After a few months he started abusing me physically ... not allowing me to speak to my family, keeping me hostage from them." She added that Mateen had a history of steroid use, which can cause mental problems such as delusional thoughts and paranoia. The couple divorced in 2011 and had no contact in years. Just before the massacre, Mateen allegedly called 911 to declare allegiance to the Islamic State group. Both his father and wife believe that Mateen’s actions had nothing to do with religion since he didn’t show signs of radicalization. Although the suspect was a practising Muslim, they claimed that he was not “especially religious”. Authorities are investigating if Mateen had links or was inspired by Islamist Extremism after a source with connections to ISIS claimed the attack.